SINGAPORE, 16 May 2018…, “Women Empowerment Awards” 2018 are presented to 11 excellent women who made great contributions to businesses, community, women empowerment movements and Singapore-Indonesia bilateral relations in both countries. 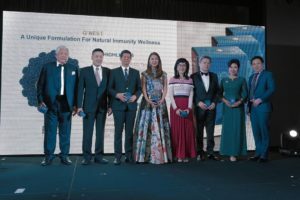 The nominees were judged by an independent panel of judges consisting of representatives from women’s associations, professional bodies, authorities and media in both countries. 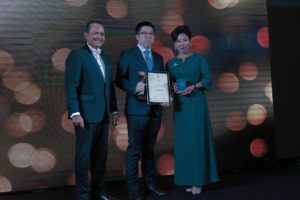 The awards ceremony and gala dinner will be held on 16thMay 2018, at Grand Ballroom, Level 6, Mandarin Orchard Hotel Singapore. The Guest of Honor is H.E. 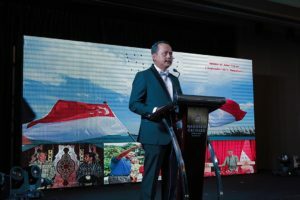 Ngurah Swajaya, the Ambassador of the Republic of Indonesia to Singapore. 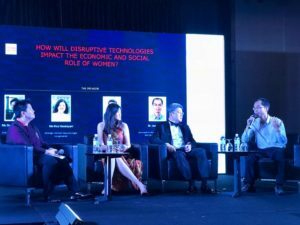 Panel Discussion: do these disruptive technologies empower women further or weaken them in terms of economic and social role? 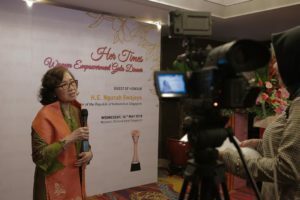 Annie Song, the Editor-in-Chief shared the her thoughts on this year’s event. 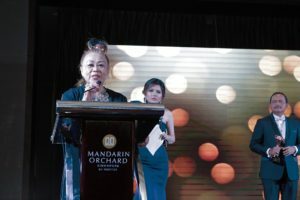 First, there are more young candidates getting nominated, second, philanthropy award was presented to celebrities, thus who can promote philanthropy amid their fans and followers.thirdly, the demographic of winners not only including those successful women but expand to those females who achieved the balance between work and life. They are the influencers bringing harmony influence to our countries, communities and families. 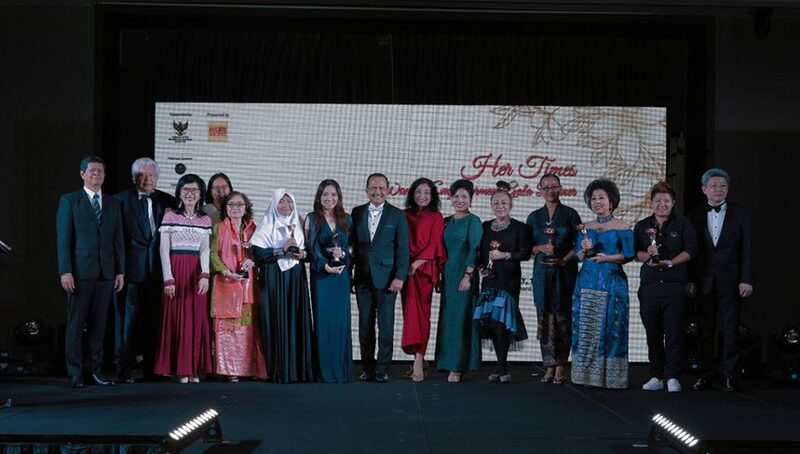 With the success kick-off of Rising 50’s “Women Empowerment Awards” 2017 to celebrate the 50th anniversary of diplomatic relations between Singapore and Indonesia, Her Times “Women Empowerment Awards” is continuing to honour business & professional women, female entrepreneurs for their outstanding leadership, as well as contributions to Singapore-Indonesia relations. 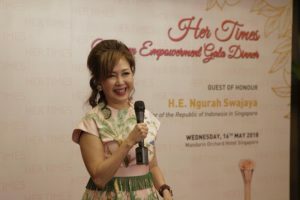 This Awards ceremony is presented by Her Times and supported by the Embassy of the Republic of Indonesia in Singapore. 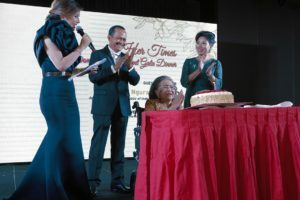 In 1930, Mrs Kartini Muljadi was born in Surabaya, East Java, Indonesia. 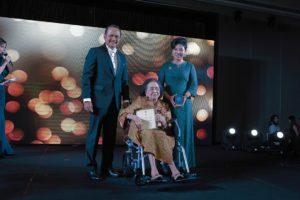 She was graduated from the Faculty of Law, the University of Indonesia, in 1958 and completed post graduate studies for Public Notaries at the Faculty of Law, University of Indonesia, in 1967. 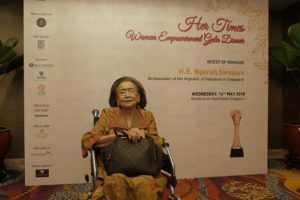 She has served as a Judge of the Special District Court in Jakarta, mainly handling Civil and Commercial Law cases during 1958 – 1973. 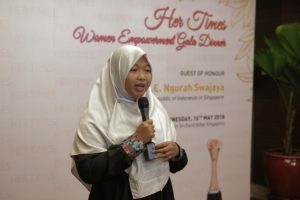 She practiced as an Indonesian Notary Public for the jurisdiction of the Jakarta province, and also practiced as a Pejabat Pembuat Akta Tanah (PPAT) [an official in charge of real estate transactions] in Jakarta for a period of 17 years. 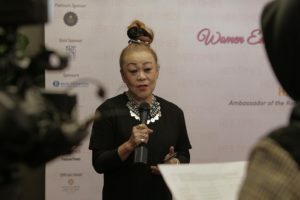 In 1990, she founded the law firm Kartini Muljadi & Rekan and has been the Senior Partner of the firm since then. 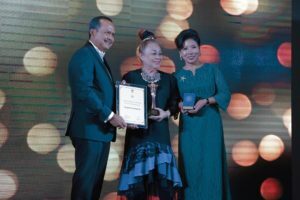 In 2004 she was awarded the Capital Market Lifetime Achievement Award by the President of the Republic of Indonesia. 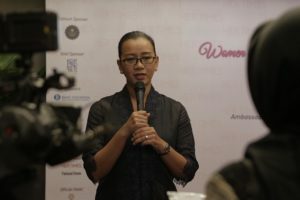 Since 1990, she practices in Jakarta as a legal consultant and advocate in the law firm Kartini Muljadi & Rekan. She also practices as a Registered Consultant for Intellectual Property and trademarks. In addition she is a Registered Legal Consultant for the Indonesian Capital Market. 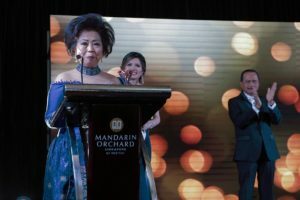 Laura Hwang is a Singaporean, who has been recognised for her leadership in both the financial and community service sectors for her strong strategic, business and leadership abilities. 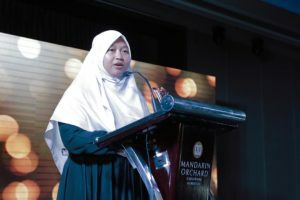 She was appointed the Singapore Representative of the ASEAN Commission on the Promotion and Protection of the rights of Women and Children in 2014. 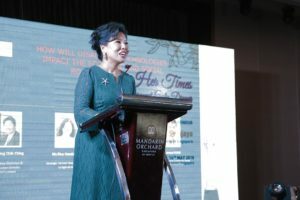 Her 17-year career in banking saw her being appointed as the first Singaporean and woman to head an international financial company in Singapore, which has made her a role model for many younger women to enter the industry. 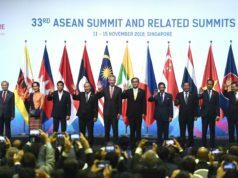 Her responsibilities included Corporate Banking, Foreign Exchange, Asset Management and Private Banking in Singapore, Malaysia, Thailand, Indonesia and Australia. She was appointed to the Bank’s financial arms in Bangkok and Hong Kong. Her financial expertise has seen the successful development of a family investment vehicle and her appointment to non-profit boards, including serving and chairing audit committees and investment committees. 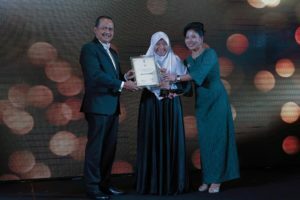 Murti Bunanta is the first person to receive a Doctorate degree from the University of Indonesia, Jakarta, using research in children’s literature as the topic for her dissertation in 1997. She is a children’s literature specialist, children’s folklorist, and international award winning author. 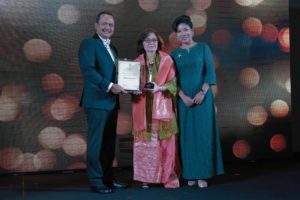 She is the founder and president of The Society for The Advancement of Children’s Literature or Kelompok Pencinta Bacaan Anak (established in 1986), a non-profit organization that pioneers various activities to develop children’s reading in Indonesia. She also established INABBY (Indonesian Board on Books for Young People) a national chapter of IBBY in 1990 and is the president up to now. 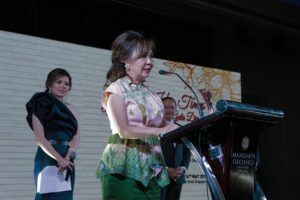 She is on the board of advisors of Asian Festival of Children’s Content (AFCC-Singapore) since 2010. Murti has written a number of essays (approx more than 200) and given numerous lectures (approx 170) on children’s literature, nationally and internationally; among others in Malaysia, Singapore, Japan, Australia, Thailand, South Africa, India, China, Macau, Denmark, Spain, Laos, Iran, Korea, England, Germany, Sweden, and Greece. 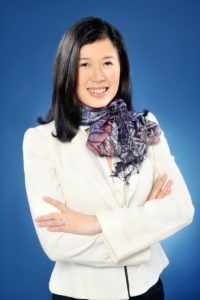 Ms Tan Su Shan joined DBS Bank in June 2010. She is currently Group Head, Consumer Banking & Wealth Management. 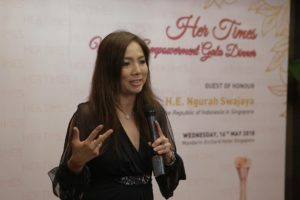 She also serves as the President Commissioner for PT Bank DBS Indonesia. 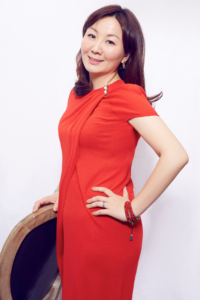 Prior to joining DBS, Su Shan worked for a number of global banks including Citi Private Bank, Morgan Stanley and ING Barings Securities in Singapore, Hong Kong, London and Tokyo. 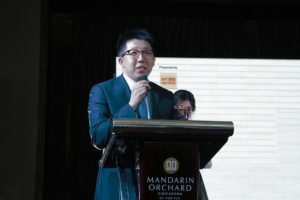 Su Shan is currently a Nominated Member of Parliament in Singapore. 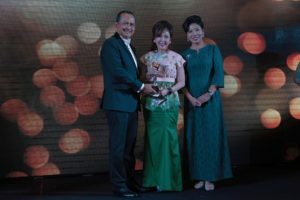 She was the founder and past president of the Financial Women’s Association in Singapore, and a board member of Aetos Security Management, a wholly-owned subsidiary of Temasek Holdings. She also sits on the investment committee of Ministry of Health Holdings. In addition, Su Shan is a member of the Monetary Authority of Singapore Private Banking Advisory Group. 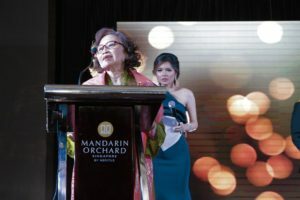 Married with two children, Su Shan is actively involved in fund-raising for various Singaporean charities and sits on the board of Singapore’s KK Hospital Health Endowment Fund, which provides financial support to needy patients. She was a past board member of the National Museum and a member of the International Women’s Foundation and the Young Presidents Organisation. On the education front, she is an advisor to Raffles Girls Primary School and the SJI International School. 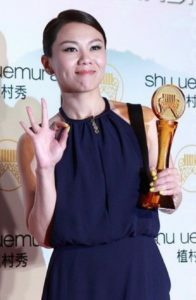 Su Shan graduated with a Master of Arts from Oxford University in the United Kingdom, where she studied Politics, Philosophy and Economics. In February 2006, she was selected by Citi Private Bank to participate in the Senior Leadership Program at Harvard Business School. 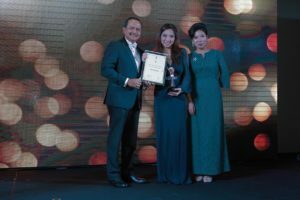 In May 2012, she was awarded the Distinguished Financial Industry Competent Professional (FICP) title, which is the highest certification mark for a financial practitioner in Singapore, by the Institute of Banking and Finance. Princess Gusti Kanjeng Ratu Mangkubumi Hamemayu(GKR Mangkubumi) was born in Bogor in 1972, She married with Prince Wironegoro, a businessman and philanthropist. They have two children, Raj Arti Ayya Fatimasari Wironegoro and RM Drasthya Wironegoro. She went to BOPKRI 1 high school and continued her high school education in ISS International School in Singapore. She went to Cirus college in California, USA, before finally completed her undergraduate study in Griffith University inBrisbane, Australia. 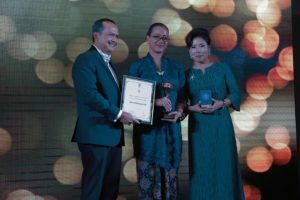 Princess GKR Mangkubumi served and is serving as numerous social and philanthropy roles as follows: Chairman Of Forum CSR Kesejahteraan Sosial Nasional ( National CSR Forum)2015 – 2020; Chairman of KADIN Daerah Istimewa Yogyakarta(Indonesia Chamber Of Commerce and Industri) 2015–2020; Chief Commissioner Of Yogyakarta Scout Movement (2016 -2021); Chairman of ASEPHI (Asosiasi Eksportir dan Produsen Handicraft Indonesia)2011 -2017; Chairman of Badan Pimpinan Pusat UPPKS 2015 – 2010; Vice General treasurer Karang Taruna Nasional ( 2011 – 2016); Vice Chairman of International Association of Wild Silk Moth(2003–2008); Chief Commissioner Of Yogyakarta; Scout Movement (2016 -2021); Chairman of Advisory Council Royal Silk Foundation (2006-2011); Chairman of Dewan Perwakilan Wilayah Asosiasi Pedagang Pasar Seluruh Indonesia ( APPSI) DIY(2017–2022); Chairman of Advisory Council Komite Nasional Pemuda Indonesia; DIY ( National Youth Committee)(2015-2018);Chairman of Komite Nasional Pemuda; Indonesia DIY (National Youth Committee )(2012–2015); Chief Commissioner Of Yogyakarta; Scout Movement (2016 -2021); Chairman of Karang Taruna DIY (Youth Organization)(2007-2012); Chairman of Advisory Council; Karang Taruna DIY ( Youth Organization)(2007-2012);Chairman of Advisory Council Konservasi Alam Yogyakarta Foundation. 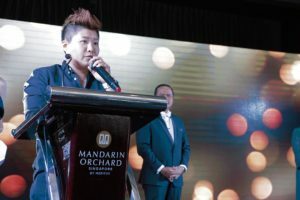 The only Singaporean singer to be awarded the Best Mandarin Female Singer thrice in the prestigious Golden Melody Awards, Tanya Chua has established a solid reputation as a multi-talented singer songwriter in the Chinese pop music arena. 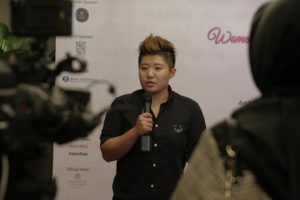 In 2014, Tanya spearheaded Project WAO (Women as One), teaming up with three other female singers from Taiwan, Hong Kong and China to perform in unison with proceeds benefitting vulnerable women and girls in the Greater China area. 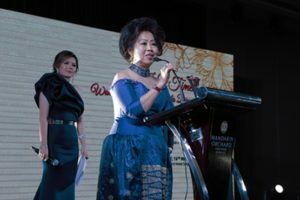 Cherie Nursalim is Vice Chairman of Giti Group, a diversified group with real estate development, manufacturing and consumer lifestyle presence partnering with world-renowned brands throughout the Asia Pacific region. 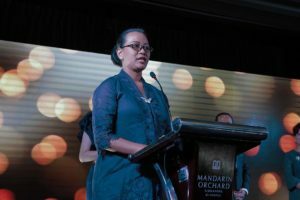 Ms Nursalim is Chairman of the United Nations global initiative Sustainable Development Solutions Network Southeast Asia, serves as board members of the International Chamber of Commerce and ICC Academy, and as Business and Sustainable Development Commissioner. Ms. Maggie Zhu, holds an EMBA in Finance from Tsinghua University, PBC School of Finance and an EMBA from Cheung Kong Graduate School of Business. Ms Zhu currently works on the Global Finance GFD program at Tsinghua University, PBC School of Finance, and a joint DBA program of SMU and CKGSB. Ms. Zhu is now leading the Office of the Board of Directors, Financial Markets Department, Investment Department, as well as International Business Department of China Huiyuan Juice Group Ltd (“China Huiyuan”). 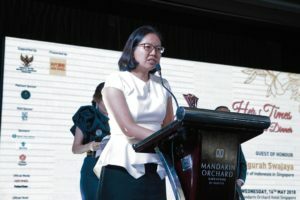 Since joined China Huiyuan in 1996, Ms. Zhu has taken several positions including Marketing Manager, Deputy Director of the Investment Department, Head of the Office of the Board of the Directors, Head of the Operation Executive Committee, Vice President of the Group, Executive Director, and Vice Chairman. As a farmers leader, teacher, activist, motivator, writer and social entrepreneur, Heni Sri Sundani founded Empowering Indonesia Foundation. She is a daughter of a farm worker who comes from a remote village in Ciamis, West Java. Her parents got divorced since she was 1 year old. She was raised by a disabled grandmother who could not read and write. Both her parents also never went to school. To be able to go to elementary school, she had to walk for 2 hours. When she was in Junior High, she also had to walk for 4 hours back and forth. Women in her village did not go to school. There were very few teachers at school, so students often had to study on their own without the help of teachers. For that reason, Heni really wanted to be a teacher in order to help children like me to learn. Then, she continued her study to SMK (a vocational school). To be able to continue her study to college, she had to take an unusual path. Tao Li (born in 1990) is a Singaporean competitive swimmer who specializes in the backstroke and butterfly. 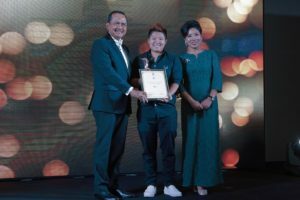 Tao has represented Singapore at the Southeast Asian Games (SEA Games), the Asian Games, World Championship, Commonwealth and Olympics. She holds several national records. In fact, she’s the only female Singapore swimmer who qualified for an Olympic Finals. The journey of Lestary’s career started when she joined Prioritas, political newspapers back in 1986, which owns by Surya Paloh. Surya Paloh carries great vision for the Nations, believes in pluralism and to enrich the life of the nation, these are the based foundation to inspire him to create other media platform, Lampung Post, Media Indonesia and Metro TV. November 25th in 2000 marked an important milestone for Indonesia media industry. 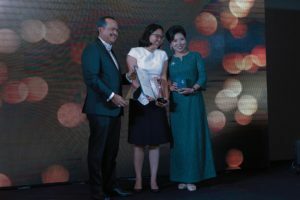 Metro TV becomes the first 24 hours Free To Air News stations and the first stations that broadcast in 3 different languages, Indonesia, English and Mandarin. She was assigned as Sales & Marketing Director in May 2001. 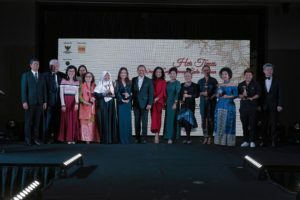 In this “Her” era, the 21st century embraces “Her Economy”, featuring several new highlights of economy growth such as the increasing economic status of prominent ladies ,and the rapid growth of their consumption demand. 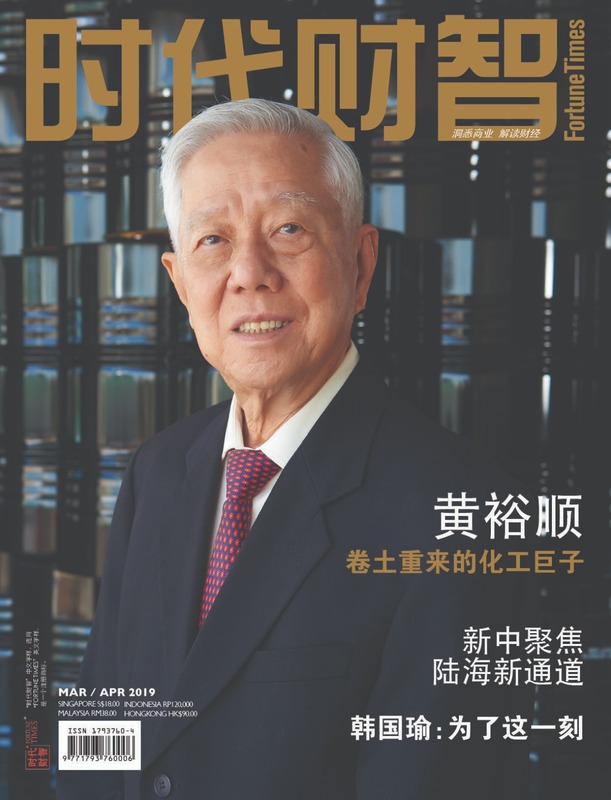 Her Times (时代丽智), the first Chinese business magazine in Singapore is tailored for business and professional women and female entrepreneurs. Upholding credos of focusing on “Her Era” and explore Women’s Charisma, Capital & Wisdom, Her Times is dedicated to encourage females to improve themselves continuously in an ever-changing world and keep a balance between their minds and bodies by helping them explore the origins and philosophy of wealth and overcome various challenges of power and status faced in workplaces. 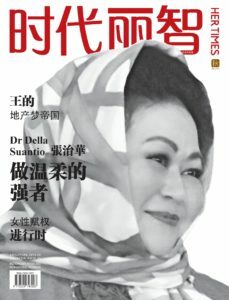 Her Times is published semi-annually in the seasons of Spring and Autumn, and distributed in Singapore, Indonesia and Malaysia, Her Times will be available in mainstream bookstores regionally, and exclusively placed at Changi Airport, on-board SilK Air, as well as regional high-end clubs, business centers, gyms, beauty salons, private clinic, women’s associations, institutions, hotels and universities. Next articleThe new BMW M3 CS. Dynamic, emotional. Are REITs the Safe Refuge Against Global Volatility?